The FCC has just approved a new LG handset today named D850, it is believed that this is the LG G3 variant that will be available from AT&T in the U.S. The LG D850 variant cleared by the FCC supports the LTE bands: 2, 4, 5, 7, and 17. 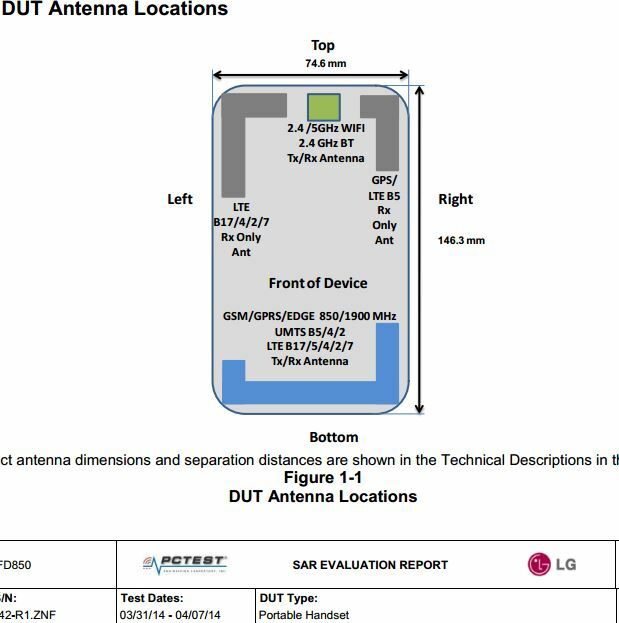 According to FCC Filing, the LG D850 is 74.6mm wide and 146.3mm tall, a bit larger than a LG G2 measuring 138.5 x 70.9 x 9.1 mm. No further specs about the LG G3 D850 are being listed in the FCC filing. LG will formally unveil the LG G3 on May 27, It is expected to launch soon after the unveil event.